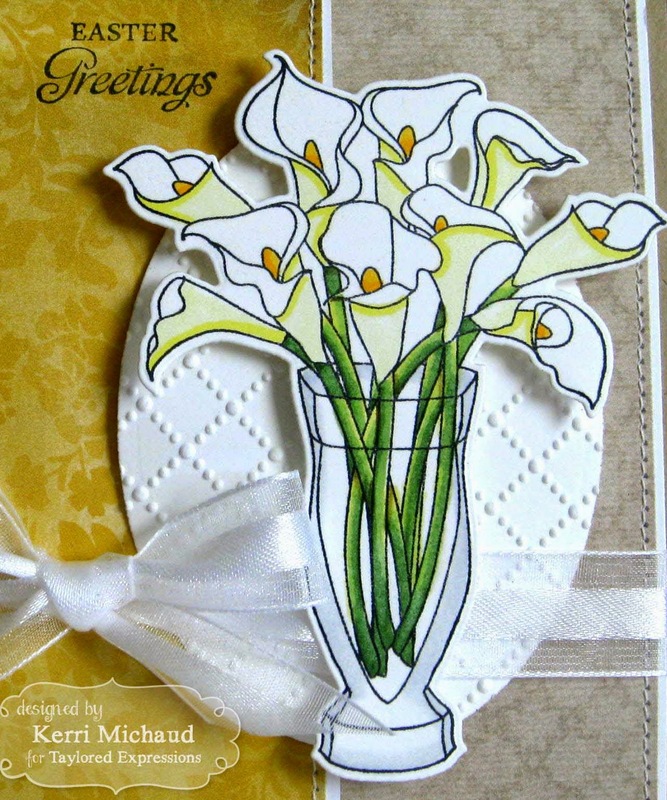 Taylored Expressions February Sneak Peeks: Calla Lily Bouquet and Old Rugged Cross! Hello! It's Day 2 of sneak peeks from Taylored Expressions! All of the new products will be available on Thursday, February 5th at 7AM PST! 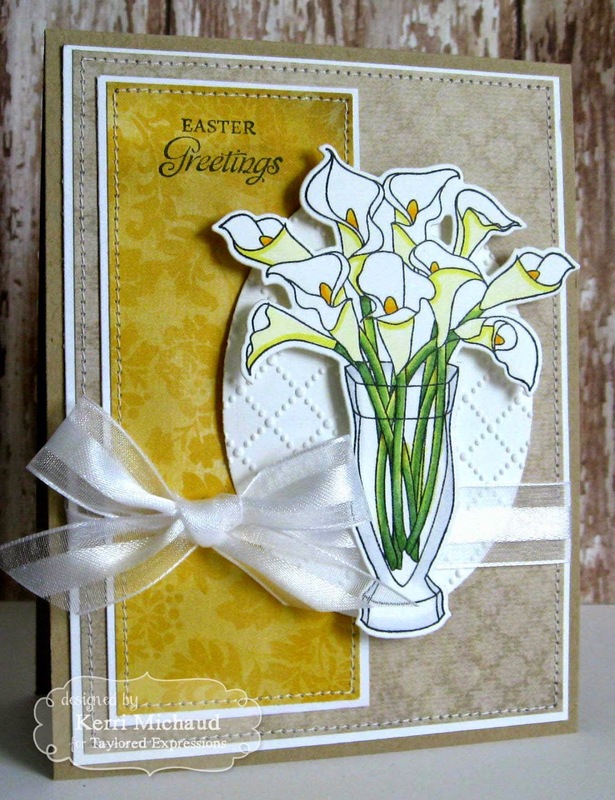 For my first peek today I used a previously released stamp set called Calla Lily Bouquet along with the new Calla Lily Bouquet Die! LOVE!!! This die cuts the bouquet out perfectly and it's so quick and easy! I stamped the image with Memento Tuxedo Black and colored with Copics. I cut it out with the Calla Lily Bouquet Die and popped it up over an oval panel that I embossed with the Dotted Lattice Embossing Folder-I just can't get enough of this thing! I used some Glitz Sunshine in my Soul dp and added the ribbon and some stitching. Sweet and simple! I cut the crosses from Old Rugged Cross out of some TE Build a Scene dp and placed them over some hills cut out of Granny Smith cs using the Build a Scene Rolling Hills Dies. 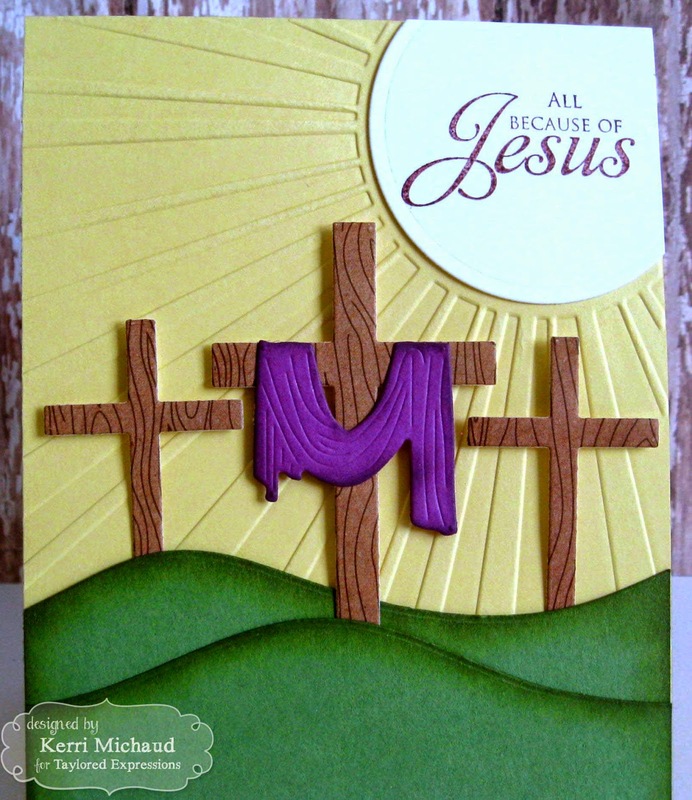 The card base was embossed with the new Walking on Sunshine EF and I stamped a sentiment from the previously released set He is Risen using Memento Rich Cocoa. Stunning cards! 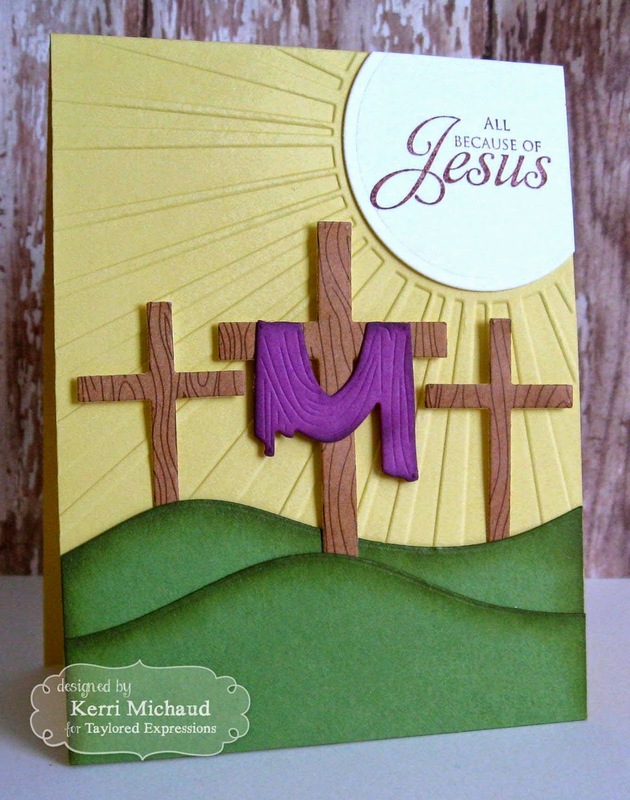 I love how you created texture on your crosses - gives new meaning to the phrase - old rugged cross.